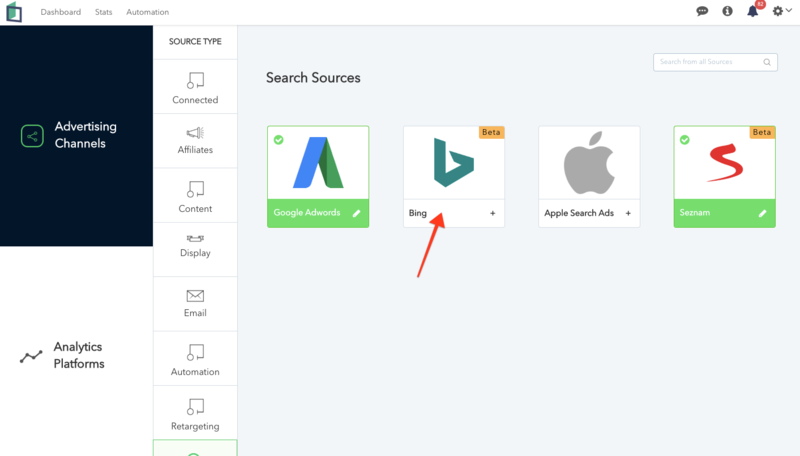 Step 1: Find Bing Ads on the integration page of Clarisights. Click on Bing to start the integration. 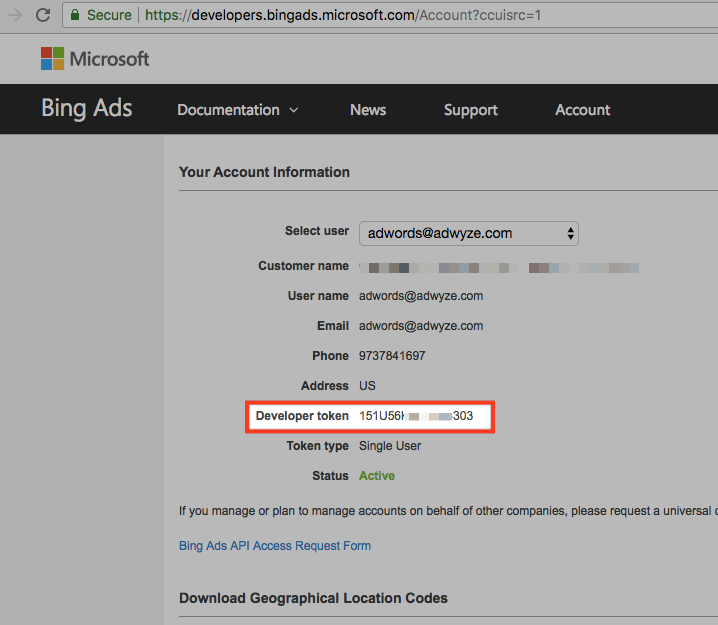 Step 2: If you have already connected some Bing ad accounts before, you will find the connected accounts. Click on +Account to add new accounts. 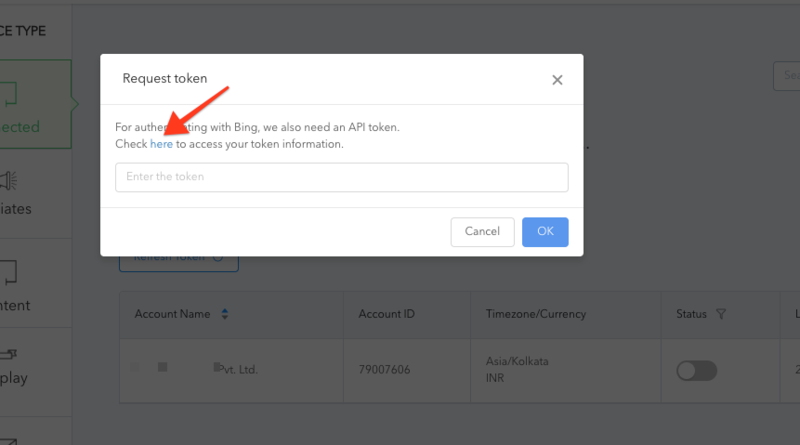 Step 3: For authenticating with Bing, we need a API token that can be generated from this link. This link is shown on the integrations page as well. 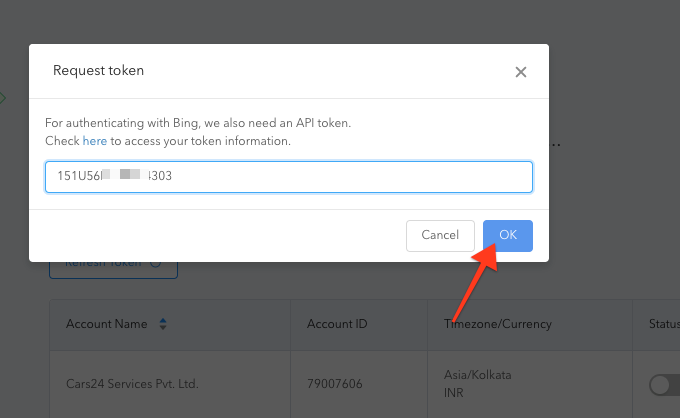 Step 4: Paste this Developer token into the "Request Token" box on Integrations page and click "OK". Step 5: Verify the password again and then go back to the integrations page and you will see the list of accounts. Select the accounts that need to integrated and then click on "Connect Accounts"
Once the accounts are integrated, the historical data of last 30 days is fetched. You will receive a notification after the data is fetched. In case of any queries, feel free to reach to us from the messenger support from the platform.